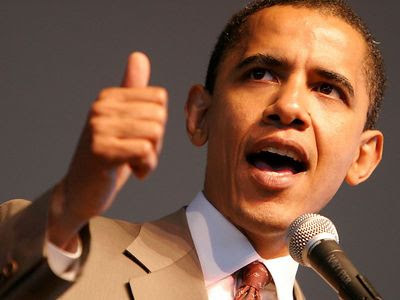 Leabank Square: Barack Obama to visit Leabank Square? Thanks Sóna, I just didn't want this to slide off the table. It would be the cherry on the top of all the Olympic kerfuffle for us. Hey mate. I agree, please keep working this behind the scenes and try and make it happen. Obama is the most influential person on our planet right now, and for him to have a cuppa with the kids would be the single most important thing to happen in their childhood. Go 4 it Sona. 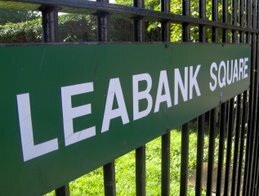 Please do everything you possibly can to get the Prez down to Leabank Square! Yes we can! Shona please keep the momentum up on this one. We are going to go through some horrible times leading up to the games security wise, so if we could get a visit, it might make it all worth the hassle. Until we all met up, I thought you were still working on this mate. Please get 2 it hey. It's practically why I started the securecoms. I really want to see The Prez sitting on a bench on the green chatting to our kids man. Sona, Imagine the kids sitting up on the riverbank, in the centre sits President Obama, asking them about their lives, advising them about the future as he sees it, perhaps inspiring them to greater plans. Then the Olympics would have been worth it. Hi Sóna, we've had so many arguments about him getting the Nobel Peace Prize, but I still maintain that it sends the best message to the international community. Now, here's another quiver to my bow. It will send the best message to the kids in and around Leabank Square as well. See you Tuesday for a response! Sóna. I remember back in the summer when you had to step down from our committee, and I think a few other orgs, for excellent reasons. But if you could please just see this project through it would mean the world to our kids in Leabank. If you want any help with this, please just shout OK.
My boys will be just the perfect age to have a deep and meaningful chat with The Prez. Besides myself, I cannot think of any other guy I would rather give advice to them. Do what you do. Lol! He got his Nobel Prize today, SO THERE! I konw you feel he hasn't earned it yet compared to Madiba, but you watch Sóna, when he sits down on the Leabank Square green bench and has a quiet word with Shanthi & Safiri, you'll want to give him another Nobel! Martabelle.K Rustic Cafe Opens on Saturday!! Just Who Manages Leabank Square?